The book provides an up-to-date account of inductively coupled plasmas and their use in atomic emission spectroscopy and mass spectrometry. Specific applications of the use of these techniques are highlighted including applications in environmental, food and industrial analysis. It is written in a distance learning / open learning style; suitable for self study applications. It contains contain self-assessment and discussion questions, worked examples and case studies that allow the reader to test their understanding of the presented material. John R. Dean took his first degree in Chemistry at the University of Manchester Institute of Science and Technology (UMIST), followed by an M.Sc. in Analytical Chemistry and Instrumentation at Loughborough University of Technology, and finally a Ph.D. and D.I.C. in Physical Chemistry at the Imperial College of Science and Technology (University of London). He then spent two years as a postdoctoral research fellow at the Food Science Laboratory of the Ministry of Agriculture, Fisheries and Food in Norwich, in conjunction with the Polytechnic of the South West in Plymouth. His work there was focused on the development of directly coupled high performance liquid chromatography and inductively coupled plasma–mass spectrometry methods for trace element speciation in foodstuffs. This was followed by a temporary lectureship in Inorganic Chemistry at Huddersfield Polytechnic. In 1988, he was appointed to a lectureship in Inorganic/Analytical Chemistry at Newcastle Polytechnic (now Northumbria University). This was followed by promotion to Senior Lecturer (1990), Reader 1994), Principal Lecturer (1998) and Associate Dean (Research) (2004). He was also awarded a personal chair in 2004. In 1998, he was awarded a D.Sc. (University of London) in Analytical and Environmental Science and was the recipient of the 23rd Society for Analytical Chemistry (SAC) Silver Medal in 1995. He has published extensively in analytical and environmental science. He is an active member of The Royal Society of Chemistry (RSC) Analytical Division, having served as a member of the atomic spectroscopy group for 15 years (10 as Honorary Secretary), as well as a past Chairman (1997–1999). He has served on the Analytical Division Council for three terms and is a former Vice-President (2002–2004), as well as a past-Chairman of the North-East Region of the RSC (2001–2003). 1 Methodology for Trace Elemental Analysis. 1.2 Analytical Terms and their Definitions. 1.5 Presentation of Data: Tables. 1.6 Presentation of Data: Graphs. 1.8 Quality Assurance and the Use of Certified Reference Materials. 2 Sample Preparation for Inductively Coupled Plasma Spectroscopy. 3 Sample Introduction Procedures for Inductively Coupled Plasmas. 3.3 Spray Chambers and Desolvation Systems. 3.6 Hydride and Cold Vapour Techniques. 4 The Inductively Coupled Plasma and Other Sources. 5 Inductively Coupled Plasma–Atomic Emission Spectroscopy. 6 Inductively Coupled Plasma–Mass Spectrometry. 6.1 Fundamentals of Mass Spectrometry. 7 Selected Applications of Inductively Coupled Plasma Technology. 7.1 Forensic Science: Document Analysis. 7.3 Clinical/Biological Analysis: Whole Blood and Urine. 7.4 Materials Analysis: Gadolinium Oxide. 7.6 Food Analysis: Milk Products. 8 Further Information: Recording of Data and Selected Resources. 8.1 Recording of Information in the Laboratory. 8.1.2 Examples of Data Sheets. 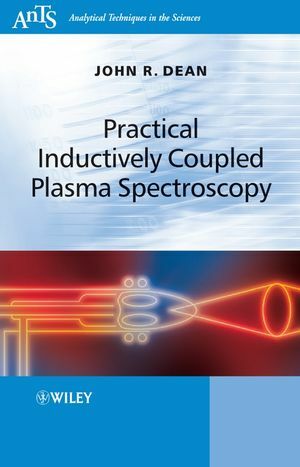 8.2.2 Basic Understanding of Inductively Coupled Plasma Spectroscopy (and Related Issues). SI Units and Physical Constants. Self-assessment questions and worked examples. Specific focus on inductively coupled plasmas and their use in atomic emission spectroscopy and mass spectrometry. Methods of sample introduction to inductively coupled plasma covered. Selected applications in environmental, food, and industrial analysis.